Ashley & Paul… Paul & Ashley…. They are too cute and completely in Love. 5 years together and they are tying the knot in September. It will be a day where they will finally be Mr. & Mrs! These two are too sweet! Luke & I could not be more excited for them! Ashley is a country girl at heart and Paul loves the water. This is the theme of their wedding, so we decided to intertwine it into the engagement session. I LOVE how excited Ashley was and I LOVED hearing all her amazing ideas! I know this little spot in Newport News that is quickly becoming one of my favorite locations to shoot. It offers a country like feel but also has a marina, scenic overlook, and more. Again, I love shooting there! So I was very excited when I took Ashley & Paul there and they enjoyed it as much as I did! The weather couldn’t be more perfect and the sun was gorgeous! We couldn’t have asked for a better day! 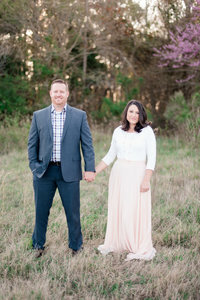 We had so much fun with these two & we cannot wait until 9-20-2014! Hope you enjoy Ashley & Paul!! !